What to look for in your fence post footings! Serving Grand Island, Hastings, Aurora, Ord, Broken Bow and all of Central Nebraska. When choosing a contractor for the installation of your new vinyl, wood, ornamental, or chain link fence make sure to look beyond – or rather below – the beauty of it in your yard. As the home owner should you prefer a wet mix concrete to set the posts or is a dry mix acceptable? 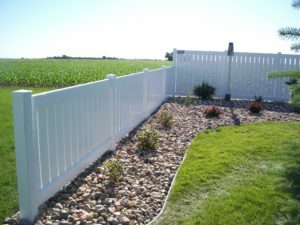 American Fence (of Grand Island) has installed thousands of residential and commercial fence projects and only sets the posts using a wet mix blend of sand, portland cement, and ofcourse water. Why is this so important? Imagine a baker making a cake by tossing eggs, milk, flour and sugar into a cake pan without mixing the ingredients, then baking it. The result would likely be something that sort of resembles cake, but the appearance and definitely the taste would be off. Whereas if you mix all the ingredients at once, the cake comes out evenly baked and likely tasting better. Some installers simply toss in a bag’s worth of dry concrete mix, add some water on top and claim it will set on its own below grade along with the moisture from the ground. This method involves too many variables. Was enough water dumped on top to allow even curing of the post footing top-to-bottom? Likely not. Is there enough ground moisture to ensure a solid cure top-to-bottom and from the edge of the footing to the center by the post? Often times the end result is some posts causing issues down the road, which are typically leaning, sinking, or heaving posts. American Fence does not rely on assumptions. A wet mix concrete blend is always used. 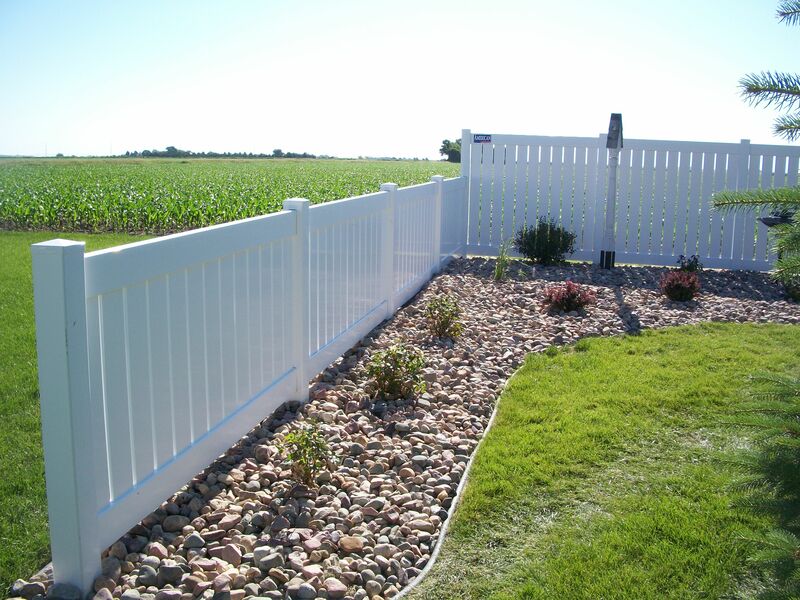 You have spent your hard earned income on a new fence and are proud of the quality installation you see in your yard. Be confident that American Fence has also left you with a quality post footing to ensure a great looking fence for many years to come.